Hi everyone! This post is going to be about another award – The Mystery Blogger Award. Thank you so much Ryann for the nomination! Please do check out her lovely blog! Despite having four best friends (two original a.k.a always, one from school and now one from college) the person I confide in most is my Mom. My mom is the most crazy awesome parent and not only does she know all my secrets, even my friends don’t mind telling her stuff that they haven’t told their own parents. When I was 6 years old I got lost in the mall because I lingered outside a bookstore too long. An old man found me and took me to the mall staff who then tried to make an announcement so my parents could find me, but weren’t able to because I refused to tell my name. For some weird reason I got it into my head that my parents would be angry that I wandered off and stupid little me didn’t think things through long enough to wonder how I’d find them otherwise. Luckily, one of the relatives we’d gone with accidentally found me. To this date that’s the most embarrassing moment of my childhood. I am a tad self conscious about the first impression I make on people which is why I inadvertently end up making an even worse impression of me than I actually am. I am much better at the written word than the spoken and hence I’ve been struggling to make friends now that I’ve joined college. Q1. Is there a person in your life who had a big impact on your love of books? Who are they, and how did they encourage your love of reading? Ans. Actually there are 3 people who played an important role. a) My mother always wanted me to develop a reading habit so from a very young age she would always be on the lookout for books suitable for my age and would indulge all my book buying obsessions. b) My father is crazy about books himself and as a child I used to copy whatever he did a lot, so reading came naturally. Q2. If you’re having a tough day, what’s your immediate go-to book? What’s the book that you know is always gonna have your back? Ans. The Martian by Andy Weir. I know that doesn’t make any sense but for some reason I find reading the Martian hugely comforting when I’m homesick or upset in any way. Unfortunately, I don’t have a copy so I’m dependent on the E-Book. Q3. Do you prefer books that make you laugh, or books that make you cry, and why? Ans. Depends on the mood, but if I had to pick one it’d be books that make you laugh. Q4. Pretend your favorite character came to spend one day with you. Who are they, where would you take them, and what is one thing you would absolutely want them to see before they left? Ans.Well, this is a toughie. There are so many to pick from but it’d probably be Mark Watney (The Martian by Andy Weir). I’d take him to a disco club (book reference) and I’d probably want him to see my blog because it is the thing that I am putting most of time and effort into these days. I’d definitely want his opinion and would love to do an interview with him for a post. Q5. (Random Question) In keeping with the spirit of the month, what is your favorite nerdy/cheesy pick-up line? 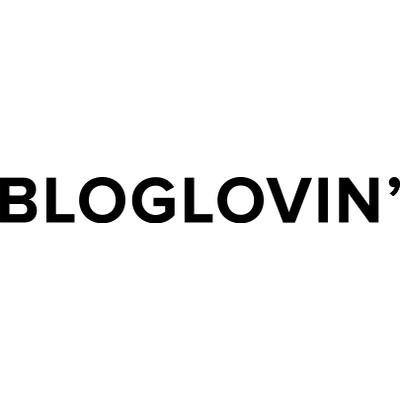 As I’m relatively new to blogging I went to all the blogs I love and unfortunately they all seem to have been nominated for this Award already. So I have only one nomination today – my online friend with his new awesome blog Shivam@C25 Craft Street. His blog is trying to get the word out about traditional handicrafts from India and it is truly wonderful. What motivated you to start your blog and how did you choose the theme? Which is your dream destination for a holiday anywhere in the world? What is the most funniest memory you have from your childhood? (Random Question) If you could have any superpower, which would you choose and why? Thank you so much for the nomination again @RyannTheReader! This has been so much fun! That is an awesome pick-up line!! I struggled making friends at college you aren’t the only one. I still do now in university. I always try to be nice but some people just don’t see that. Awesome tag! Thank you so much Vikki for the nomination! That’s great! I’ll get to it right away!